Mechanical engineering is a diverse subject that derives its breadth from the need to design and manufacture everything from small individual parts/devices (e.g., microscale sensors, inkjet printer nozzles) to large systems (e.g., spacecraft and machine tools). The role of a mechanical engineer is to take a product from an idea to the marketplace. In order to accomplish this, a broad range of skills are needed. The particular skills in which the mechanical engineer acquires deeper knowledge are the ability to understand the forces and the thermal environment that a product, its parts, or its subsystems will encounter; design them for functionality, aesthetics, and the ability to withstand the forces and the thermal environment they will be subjected to; determine the best way to manufacture them and ensure they will operate without failure. Perhaps the one skill that is the mechanical engineer’s exclusive domain is the ability to analyze and design objects and systems with motion. power generation); energy conversion (gas turbines, wind turbines, solar energy, fuel cells); environmental control (HVAC, air-conditioning, refrigeration, compressors); automation (robots, data/image acquisition, recognition, and control); manufacturing (machining, machine tools, prototyping, microfabrication). To put it simply, mechanical engineering deals with anything that moves, including the human body, a very complex machine. Mechanical engineers learn about materials, solid and fluid mechanics, thermodynamics, heat transfer, control, instrumentation, design, and manufacturing to realize/understand mechanical systems. Specialized mechanical engineering subjects include biomechanics, cartilage tissue engineering, energy conversion, laser-assisted materials processing, combustion, MEMS, microfluidic devices, fracture mechanics, nanomechanics, mechanisms, micropower generation, tribology (friction and wear), and vibrations. The American Society of Mechanical Engineers (ASME) currently lists thirty-six technical divisions, from advanced energy systems and aerospace engineering to solid waste engineering and textile engineering. The breadth of the mechanical engineering discipline allows students a variety of career options beyond some of the industries listed above. Regardless of the particular future path they envision for themselves after they graduate, their education would have provided them with the creative thinking that allows them to design an exciting product or system, the analytical tools to achieve their design goals, the ability to meet several sometimes conflicting constraints, and the teamwork needed to design, market, and produce a system. These skills also prove to be valuable in other endeavors and can launch a career in medicine, law, consulting, management, banking, finance, and so on. Current research activities in the Department of Mechanical Engineering are in the areas of controls and robotics, energy and micropower generation, fluid mechanics, heat/mass transfer, mechanics of materials, manufacturing, material processing, MEMS, nanotechnology, and biomechanics. The Kysar group studies the mechanics and mechanical properties of small-scale structures and materials. Examples of material systems include two-dimensional materials such as graphene, nanoporous metal thin films, metallic and polymeric composites containing nanoscale strengthening agents, single crystal metals, and the ear's round Window Membrane, among several others. The work is experimental, theoretical, and computational in nature. The ultimate goal is to understand and predict the mechanical behavior based on fundamental physics and chemistry through the development of multiple length scale models. The Kasza group studies the physical principles underlying the mechanics and self-organization of biological materials by combining quantitative approaches from engineering, biology, and physics. The group builds tools to measure and manipulate the behaviors of protein, cells, and tissues in order to uncover the mechanisms by which living multicellular tissues change shape, move, and grow to build functional tissues and organs. For example, the group is currently using the Drosophila (fruit fly) embryo as a model system for understanding how mechanical forces shape tissues during embryonic development. These studies combine confocal microscopy, genetics, and biomechanical measurements. Robotics research focuses on design of novel rehabilitation machines and training algorithms for functional rehabilitation of neural impaired adults and children. The research also aims to design intelligent machines using nonlinear system theoretic principles, computational algorithms for planning, and optimization. Robotic Systems Engineering (ROSE) Lab develops technology capable of solving difficult design problems, such as cable-actuated systems, under-actuated systems, and others. Robotics and Rehabilitation (ROAR) Lab focuses on developing new and innovative technologies to improve the quality of care and patient outcomes. The lab designs novel exoskeletons for upper and lower limbs training of stroke patients, and mobile platforms to improve socialization in physically impaired infants (Agrawal). Biological Engineering and Biotechnology. 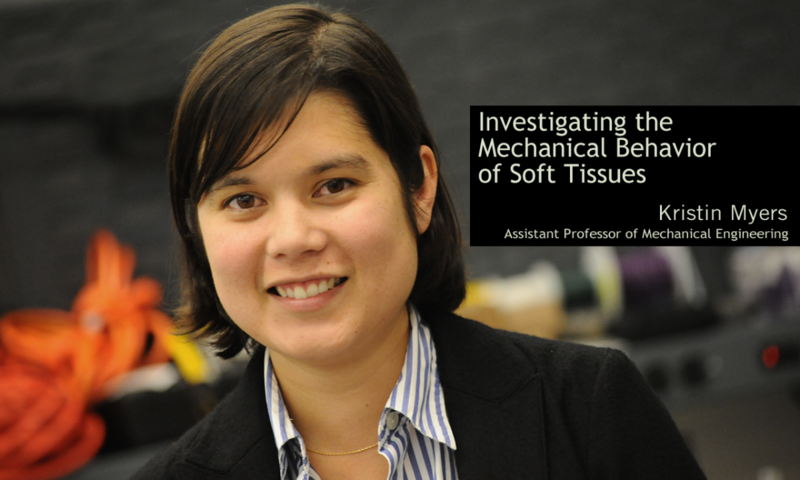 Active areas of research in the musculoskeletal biomechanics laboratory include theoretical and experimental analysis of articular cartilage mechanics; theoretical and experimental analysis of cartilage lubrication, cartilage tissue engineering, and bioreactor design; growth and remodeling of biological tissues; cell mechanics; and mixture theory for biological tissues with experiments and computational analysis (Ateshian). The Kysar group has an NIH-funded project to design and develop a method to deliver therapeutics into the inner ear through the Round Window Membrane (RWM) that serves as a portal for acoustic energy between the middle ear and inner ear. This involves the design and fabrication of arrays of microneedles, the measurements of diffusive flux of chemical species across a perforated RWM, and the design, delivery, and testing of surgical tools, all in close collaboration with Anil K. Lalwani, M.D., at Columbia University Medical Center (Kysar). The Schuck group is involved in engineering novel near-infrared (NIR) upconverting nanoparticles (UCNPs) and UCNP-based micro-devices for largescale sensing applications, including deployment in projects aimed at deep-tissue imaging and the control of neural function deep within brain tissue. UCNPs have the potential to overcome nearly all limitations of current optical probes and sensors, which have run into fundamental chemical and photophysical incompatibilities with living systems (Schuck). The undergraduate laboratories, occupying an area of approximately 6,000 square feet of floor space, are the site of experiments ranging in complexity from basic instrumentation and fundamental exercises to advanced experiments in such diverse areas as automatic controls, heat transfer, fluid mechanics, stress analysis, vibrations, microcomputer-based data acquisition, and control of mechanical systems. tools such as standard vertical milling machines, engine and bench lathes, programmable surface grinder, band saw, drill press, tool grinders, and a power hacksaw. The shop also has a tig welder. A mechatronics laboratory affords the opportunity for hands-on experience with microcomputer-embedded control of electromechanical systems. Facilities for the construction and testing of analog and digital electronic circuits aid the students in learning the basic components of the microcomputer architecture. The laboratory is divided into work centers for two-person student laboratory teams. Each work center is equipped with several power supplies (for low-power electronics and higher power control), a function generator, a multimeter, a protoboard for building circuits, a microcomputer circuit board (which includes the microcomputer and peripheral components), a microcomputer programmer, and a personal computer that contains a data acquisition board. The data acquisition system serves as an oscilloscope, additional function generator, and spectrum analyzer for the student team. The computer also contains a complete microcomputer software development system, including editor, assembler, simulator, debugger, and C compiler. The laboratory is also equipped with a portable oscilloscope, an EPROM eraser (to erase microcomputer programs from the erasable chips), a logic probe, and an analog filter bank that the student teams share, as well as a stock of analog and digital electronic components. The department maintains a modern computer-aided design laboratory equipped with fifteen Silicon Graphics workstations and software tools. The research facilities are located within individual or group research laboratories in the department, and these facilities are being continually upgraded. To view the current research capabilities please visit the various laboratories within the research section of the department website. The students and staff of the department can, by prior arrangement, use much of the equipment in these research facilities. Through their participation in the NSFMRSEC center, the faculty also have access to shared instrumentation and the clean room located in the Schapiro Center for Engineering and Physical Science Research. Columbia University’s extensive library system has superb scientific and technical collections. E-mail and computing services are maintained by Columbia University Information Technology (CUIT).